The Coogee Beach Club prides itself on catering to it’s local community, we try to strive for a balance in food and we hope you enjoy our efforts. 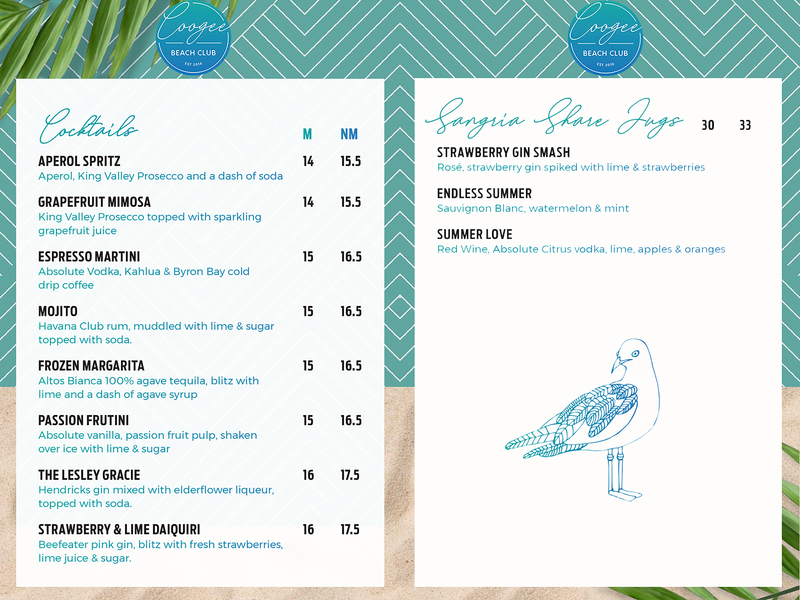 Coogee Beach Club’s open and light spacing is the perfect accompaniment to a Grilled Chicken Haloumi Salad with a Rosé or our Tagliata with a nice glass of Red. The Coogee Beach Club’s food can be ordered at the bar and will be served at your table number. We encourage our guests to become members of the Coogee Beach Club as discounts for all food are on offer, besides the kids menu. As a membership is only $5.50 you can quickly get a return and save on a meal at the Beach Club.